Getting 10 new followers and then losing 5… Not cool. I’m sure you’re working hard on posting good photos and you’re trying to grow your account naturally. There was a time we attracted many follow-unfollowers to our account. So we made adjustments to our strategy. Thankfully it was easier than we thought. First: Let them go. You will never convince a robot or a follow/unfollower to hang around on your account. Second: Tell yourself that it is better to connect with 5 people who actually really care about what you share, than 5 people who will never look at your account ever again. Now, there are ways to stop these robots and follow/unfollowers from coming to your account too often. One way is by controlling the Instagram algorithm. The other way is by being very careful about which hashtags you use. Hashtags can attract the right – and the wrong – people. Some hashtags will attract more robots and unfollowers than others. We’ve seen it first hand. Look at a hashtag page before you use a hashtag. Look if people are posting quality content under that hashtag. Can you see the difference between the 2 images below? One looks very “crowded” and the other one looks more “put together”. This is a good indication of the type of people who are using these hashtags. Generally, we noticed that robots and unfollowers come from “crowded” pages. Look at the next tip. As you can see above, the #business page looks very “crowded” and #creativebusiness looks more “put together”. Crowded pages usually have a LOT of posts (millions). You can see that #business has 30.2 million posts, while #creativebusiness has 252K posts. It might also mean less likes because the robots will have a hard time finding your account. But it’s ok, you will be attracting more valuable people. So how do you find good hashtags? Read this: How to Use Instagram Hashtags. I share all my tips on how to choose the best hashtags for your account. One tip is to use specific hashtags. Big, popular hashtags are one word (#business, #marketing, #flower, #cat). Using two-word hashtags will help you become more specific. The more specific you are, the harder it will be for robots to find your account. You can use the Hashtag Finder in Preview app to find good Instagram hashtags as well as community hashtags. This is my favorite trick. I strongly recommend you test your hashtag groups. 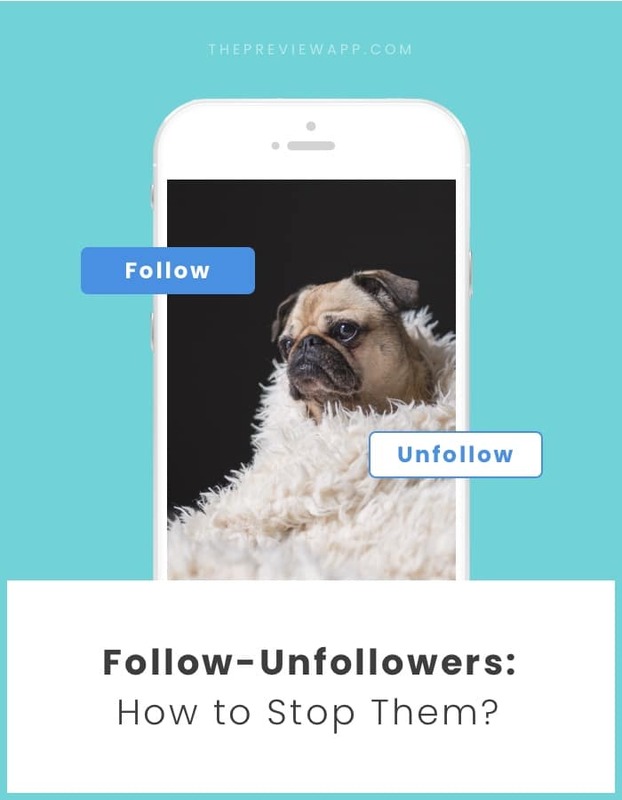 This way, you can eliminate the hashtags who are attracting too many unfollowers to your account. If you already use Preview app to plan your posts, you will know that there is a feature in the app that allows you to save your hashtag groups. Then you can add your hashtags directly in your caption whenever you need them. 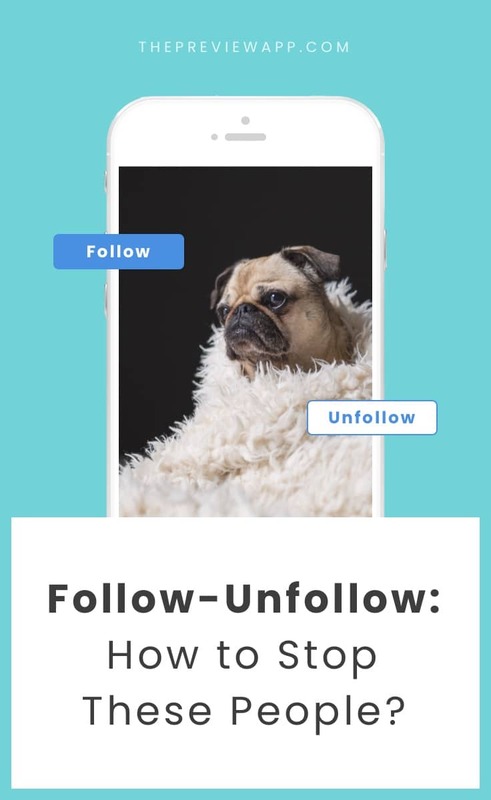 Assess the situation: which hashtag group brings less unfollowers to your account? Hashtags are a fabulous way to connect with new people. If you want to use hashtags to grow your account naturally, then I strongly encourage you to prepare a few hashtag groups. And the last tip if you’re feeling stuck: you can use the Hashtag Finder in Preview app. All the hashtags inside the app are researched and tested. You can search for hashtags by categories, countries and even Instagram communities (hello creative businesses, wedding photographers, travel bloggers).